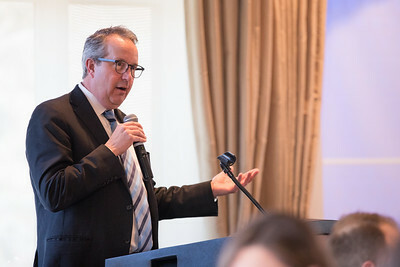 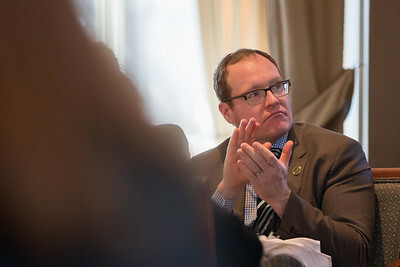 Whitney Rupp for Shaw MediaMcHenry County State’s Attorney Patrick Kenneally applauds Mayor Aaron Shepley during the State of the Community luncheon Friday, Feb. 2. 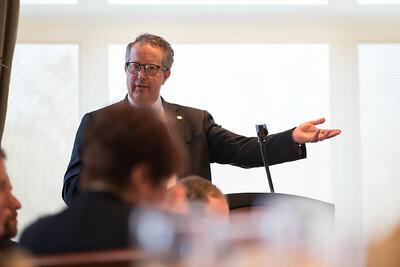 Whitney Rupp for Shaw MediaCrystal Lake Mayor Aaron Shepley speaks during the State of the Community luncheon at Crystal Lake Country Club Friday, Feb. 2. 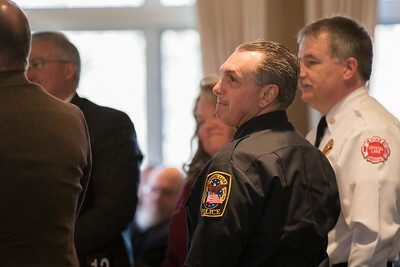 Whitney Rupp for Shaw MediaCrystal Lake Chief of Police James Black stands with other city leaders during the State of the Community luncheon Friday, Feb. 2. 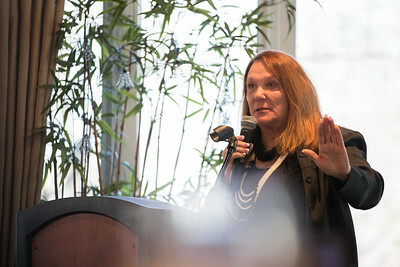 Whitney Rupp for Shaw MediaState Senator Pam Althoff addresses attendees at the State of the Community luncheon in Crystal Lake Friday, Feb. 2.